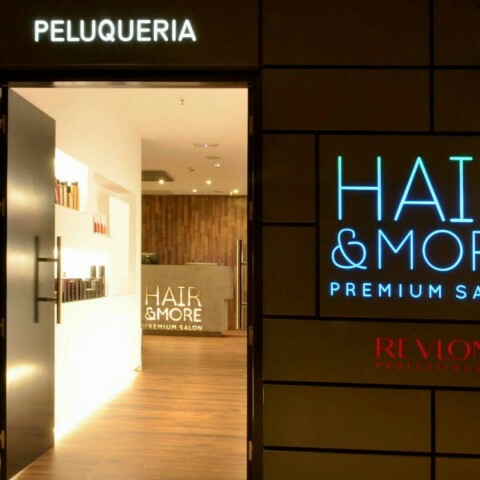 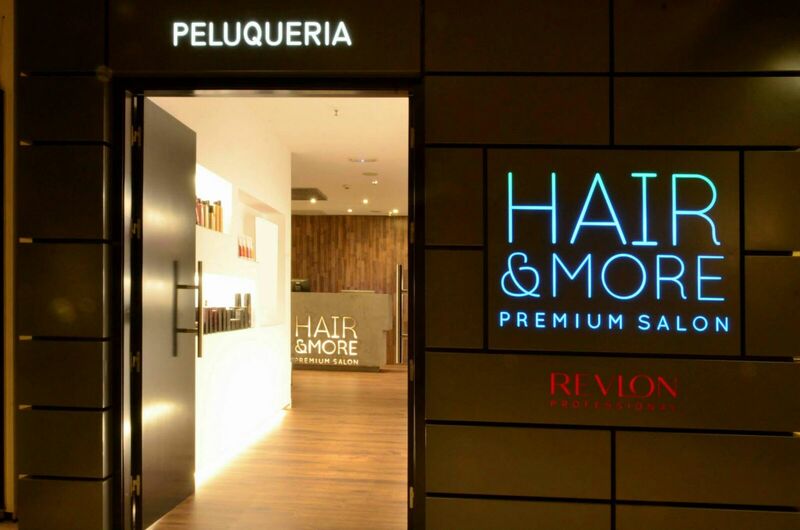 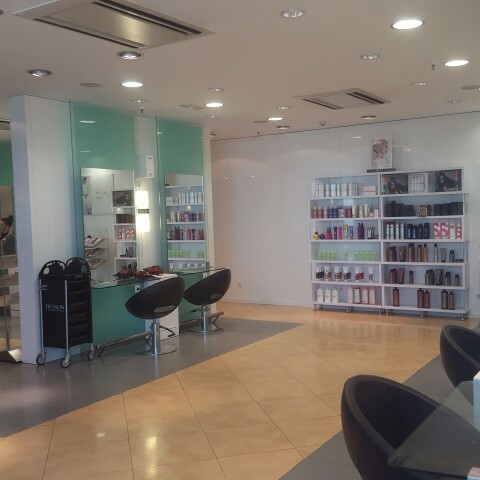 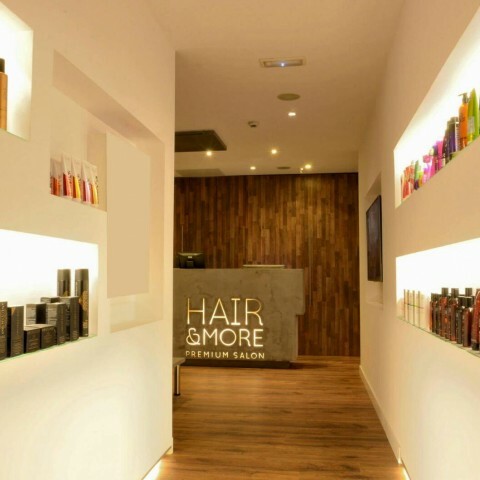 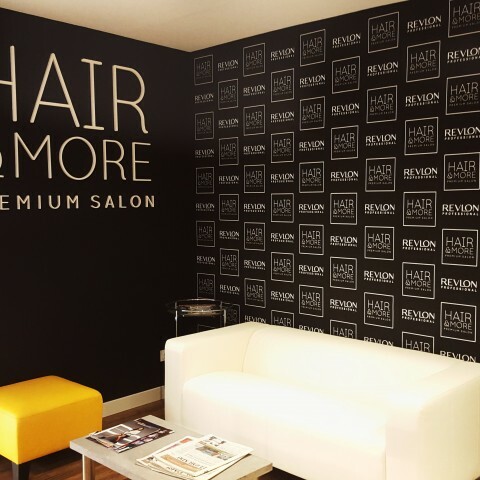 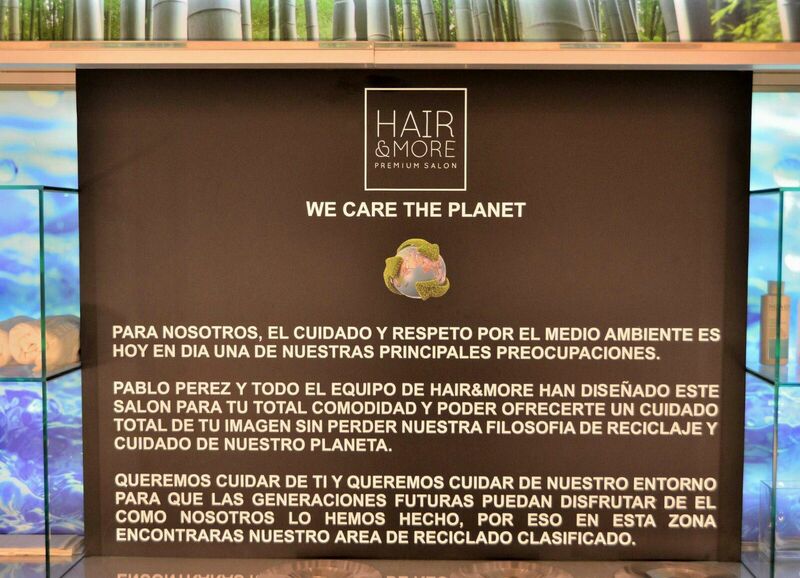 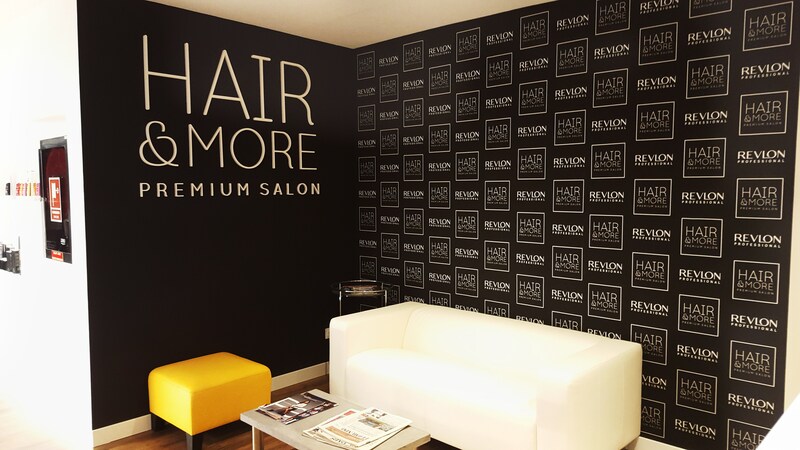 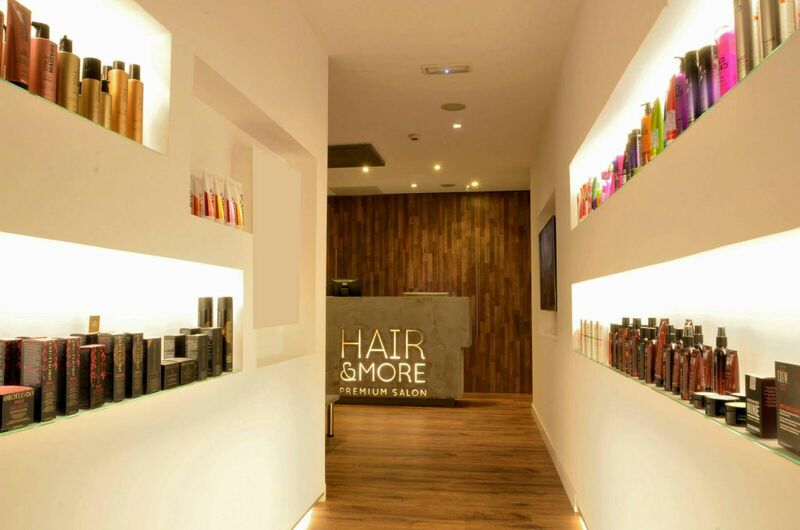 Hair & More Premium Salon is a spa, beauty and personal care space specialized in hair styling and beauty treatments. 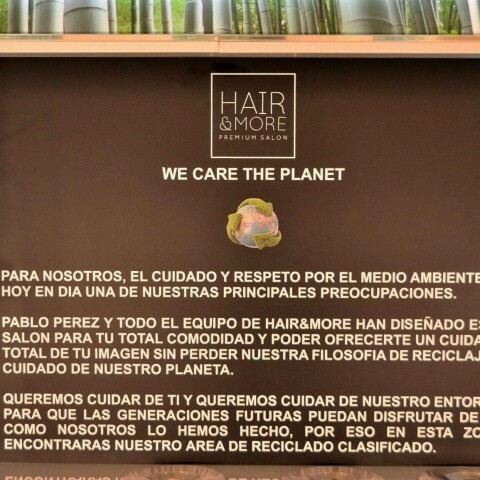 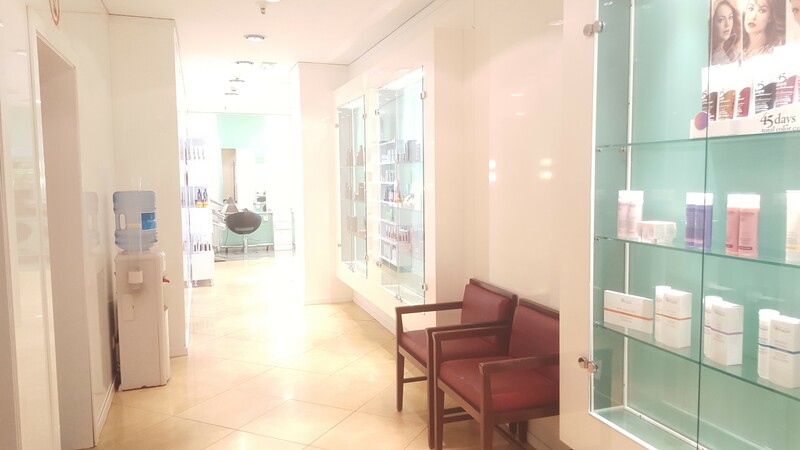 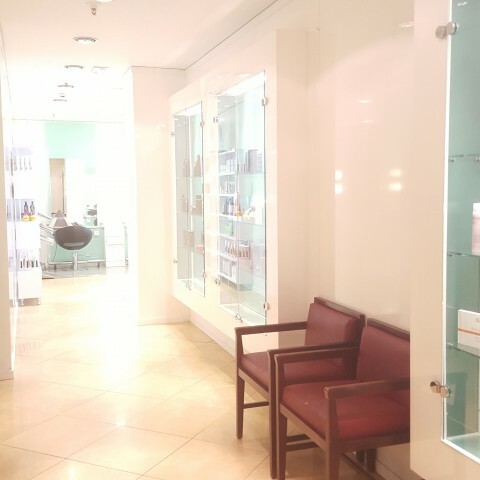 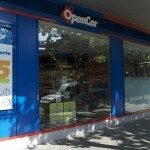 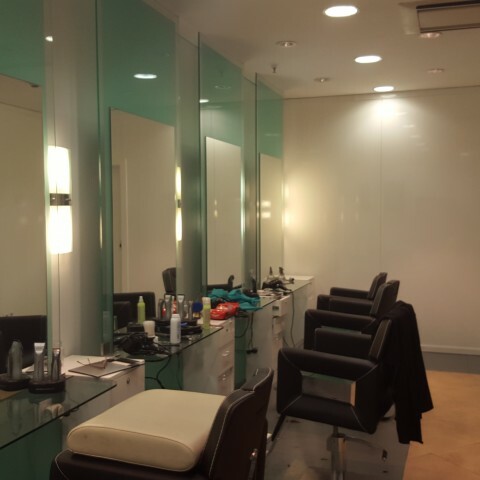 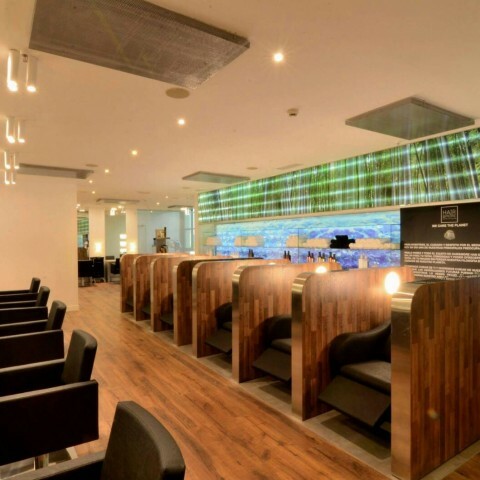 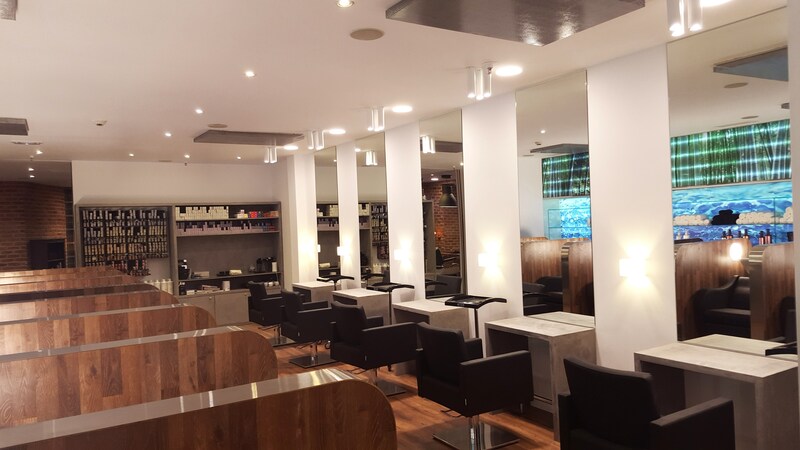 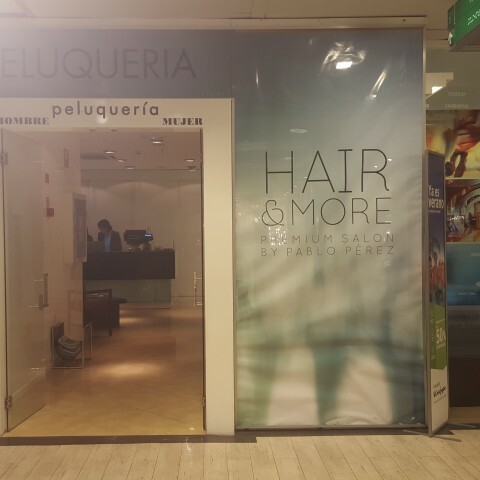 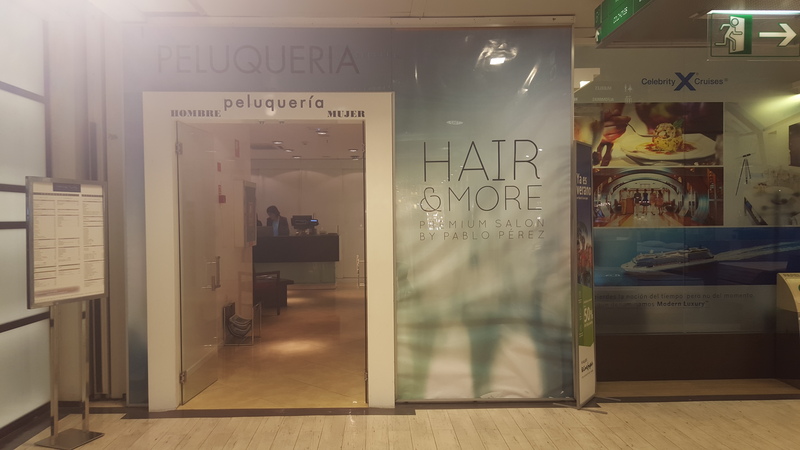 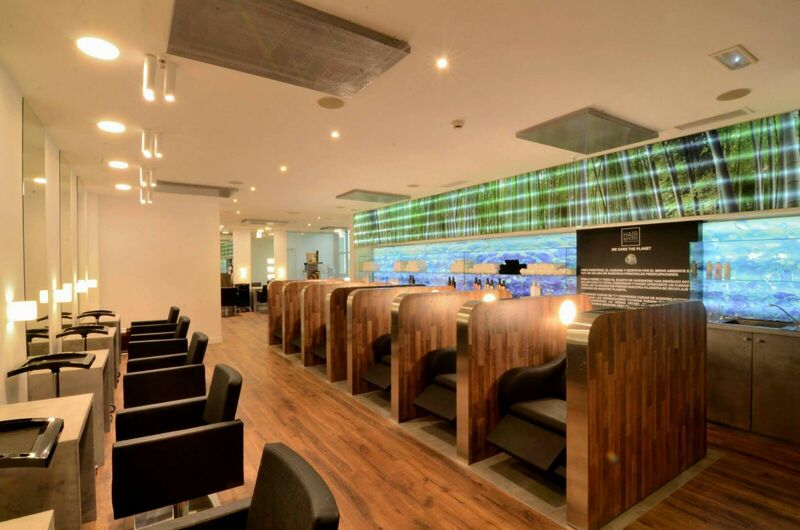 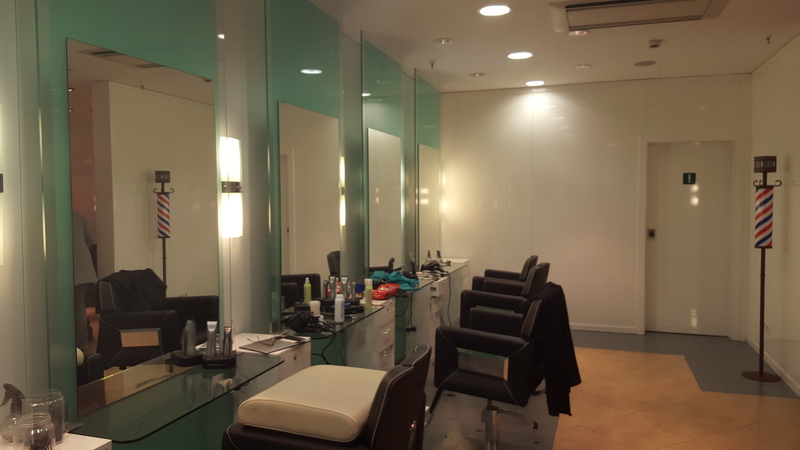 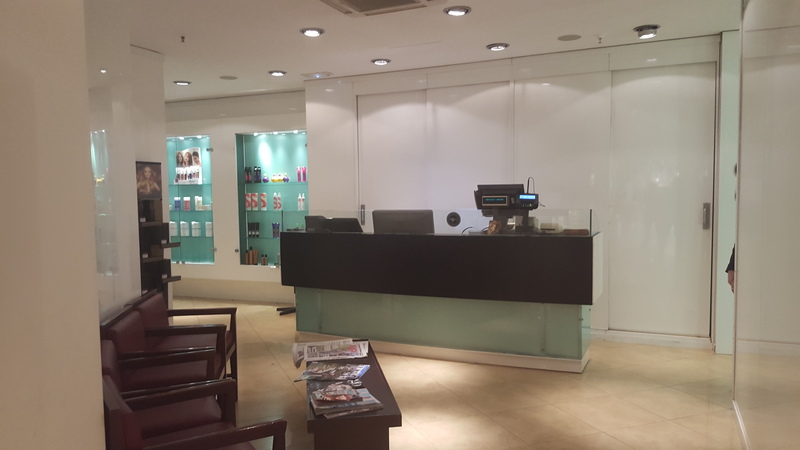 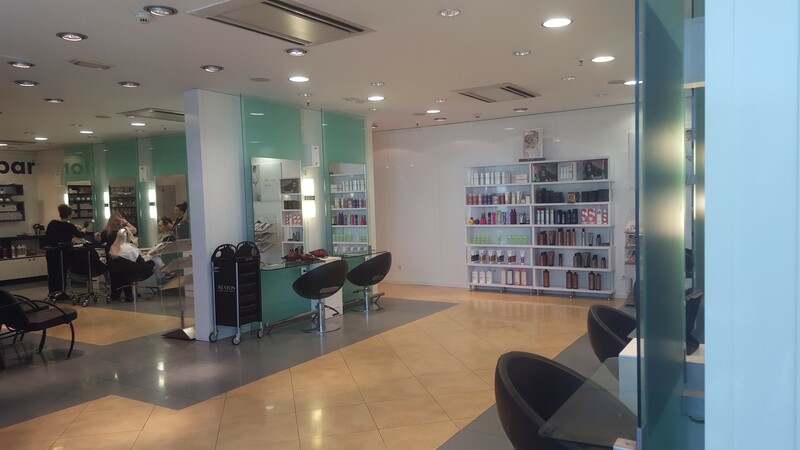 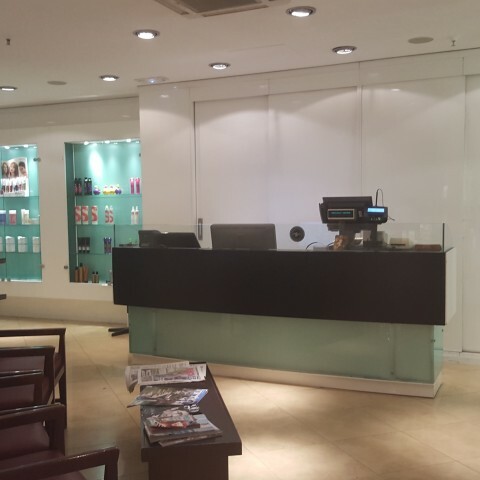 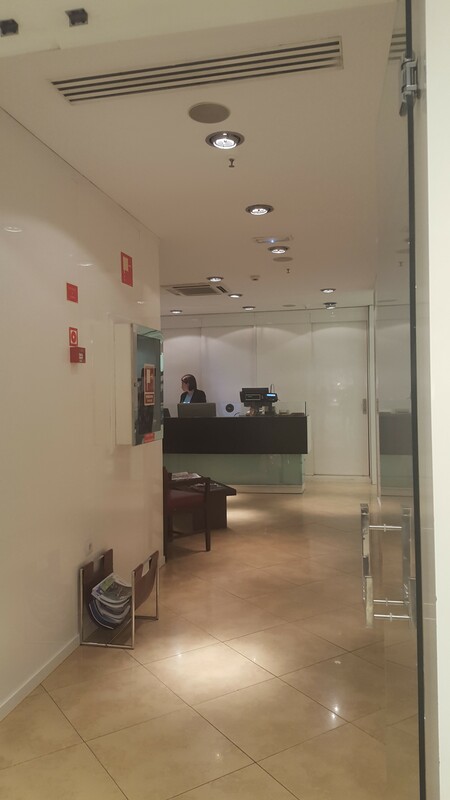 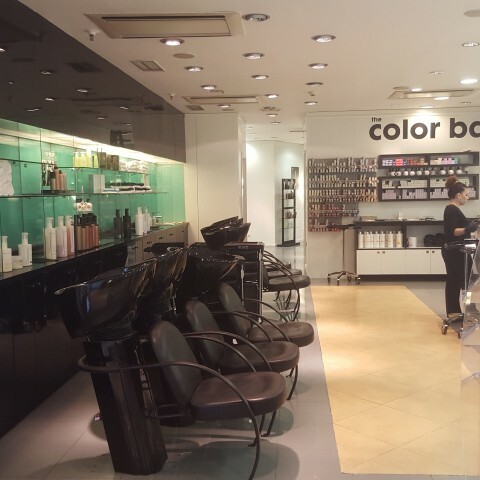 The Salon is located in Sanchinarro Shopping Center, Madrid, and it is managed by Pablo Pérez, who works with a great professional team, and they offer the best products in the market. 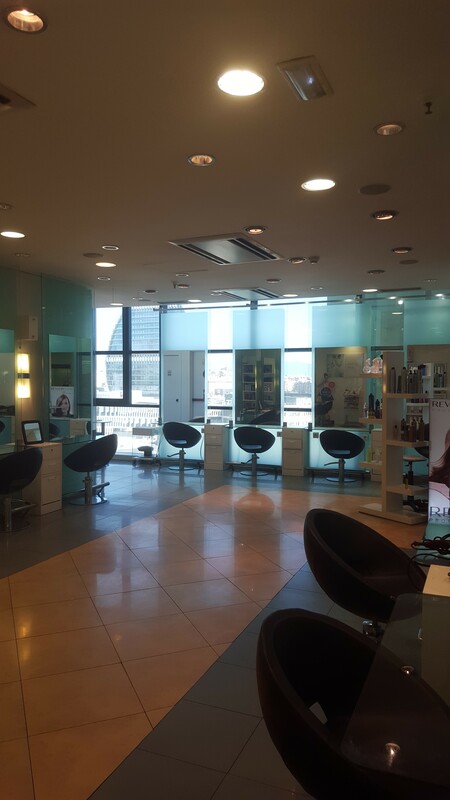 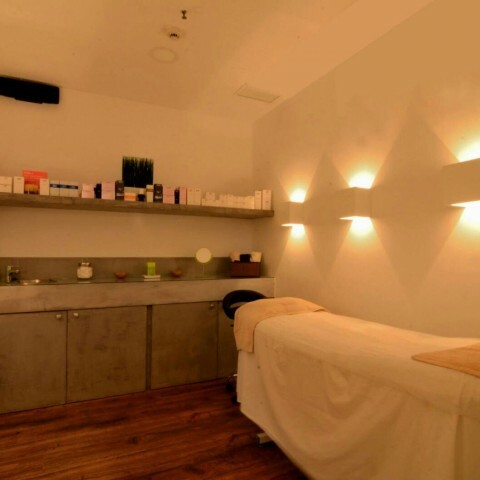 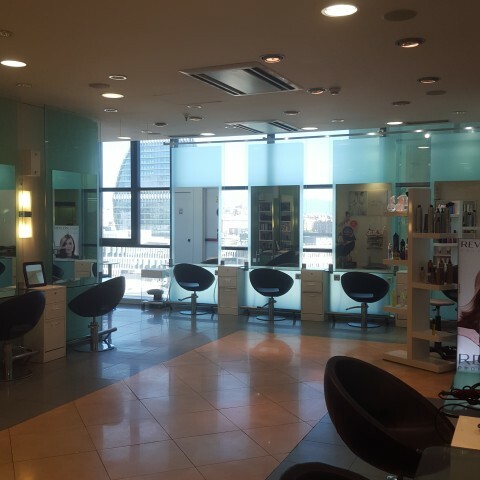 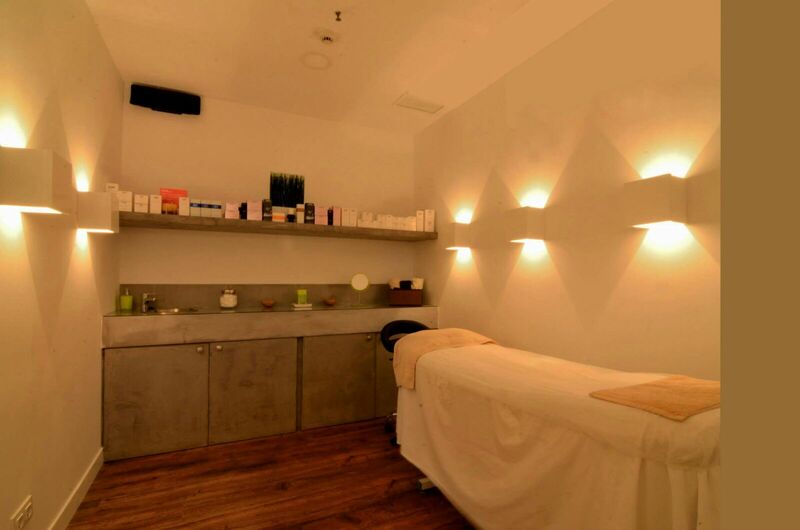 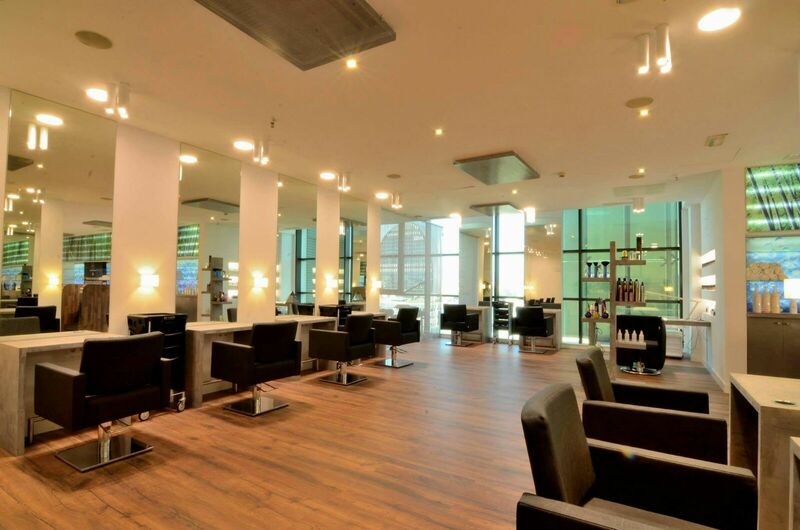 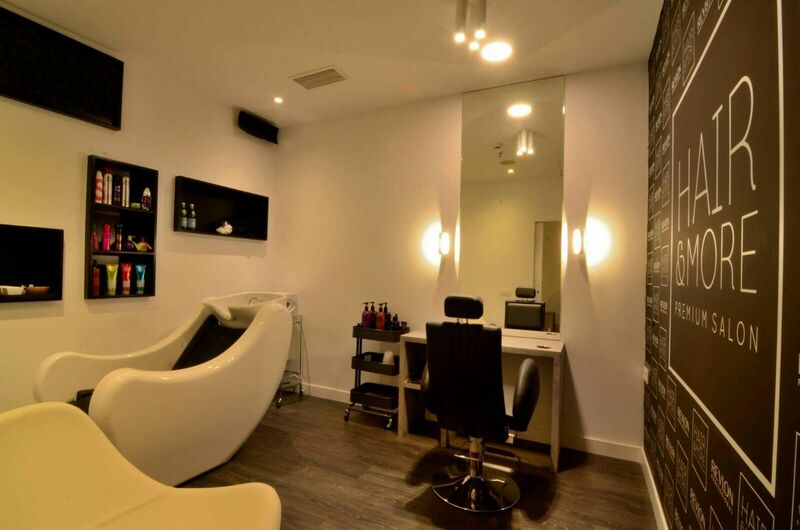 The Salon has an exclusive private area to enjoy all the services provided at the beauty center. 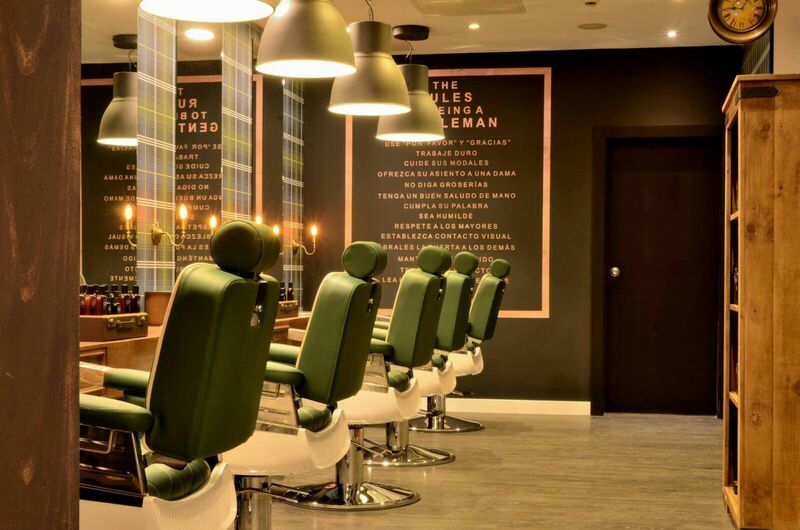 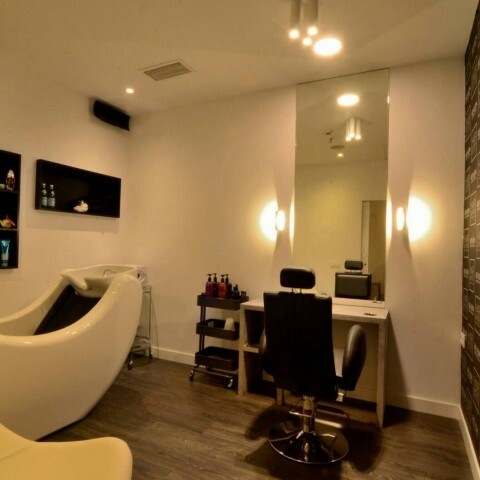 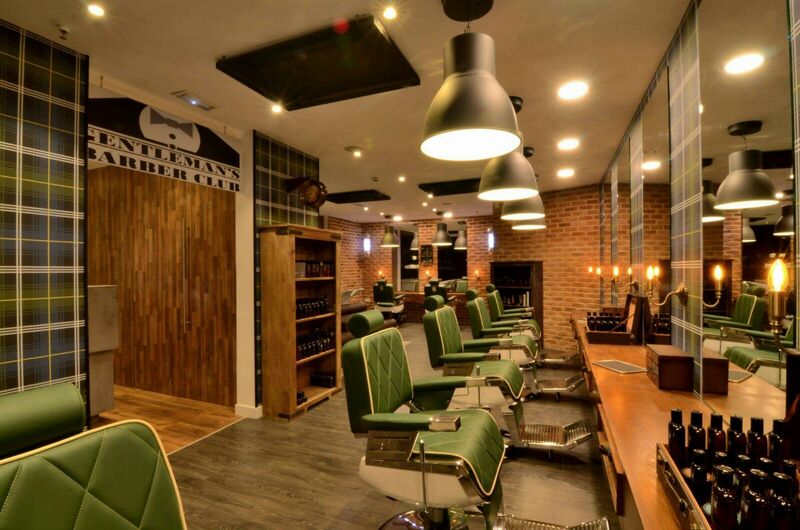 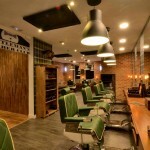 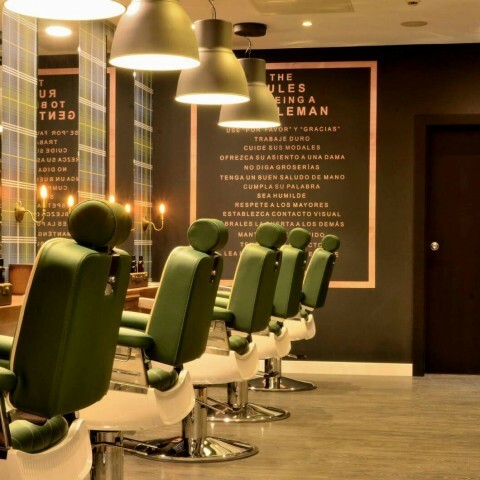 There is a spacious and bright women-only lounge; a gentleman’s barber club offering hairdressing and barber services; and a unisex massage and body care treatments space. 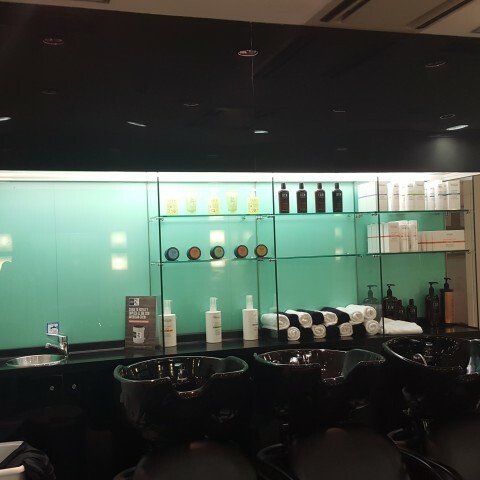 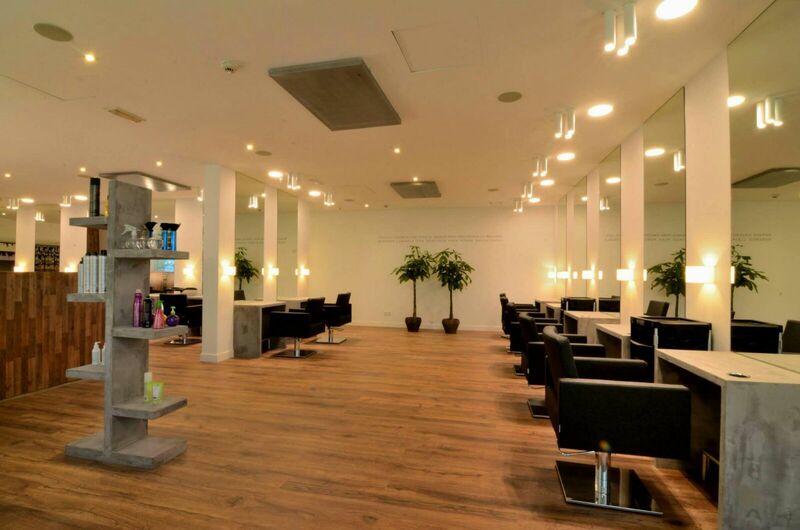 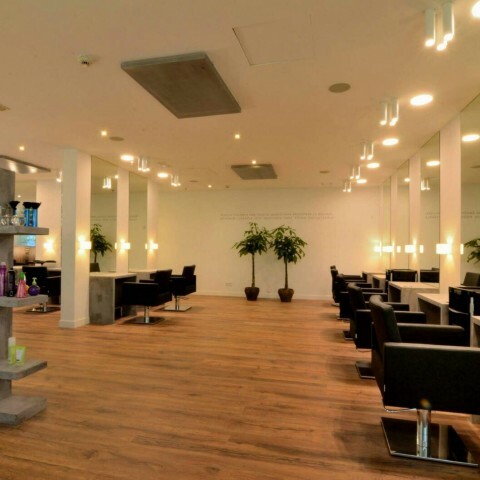 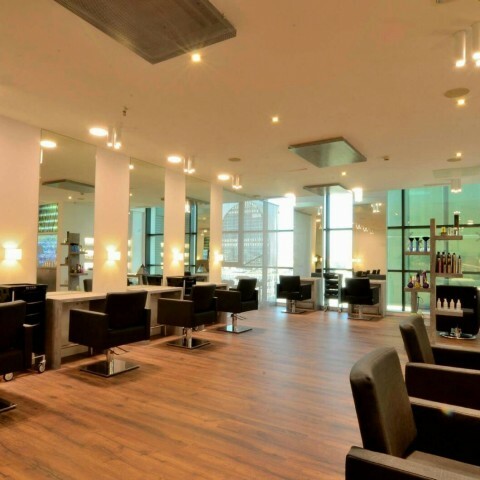 Driven by environmental awareness, Rasacha has worked with ecofriendly materials and techniques such as oak wood, microcement to achieve a stone finish look, to create a fresh and natural aspect to the Salon. 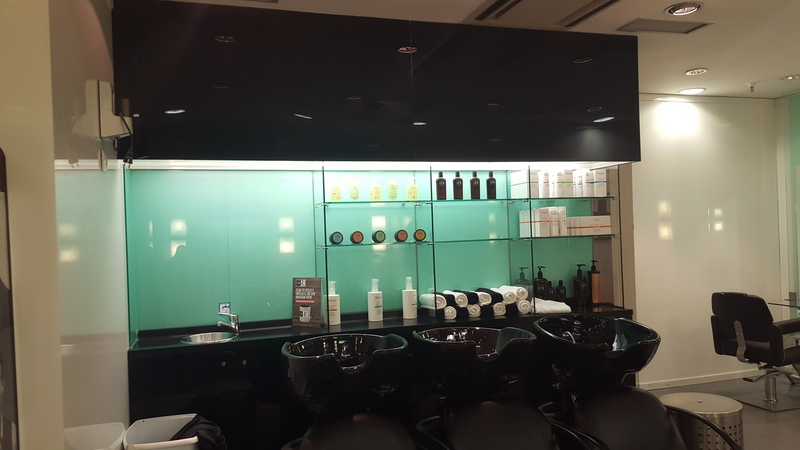 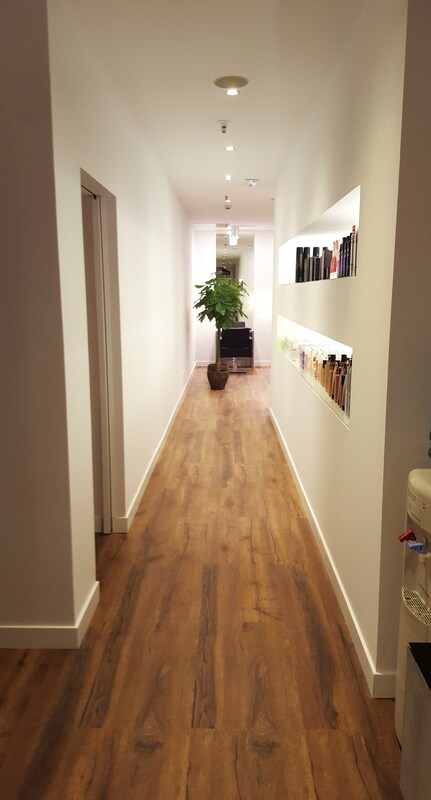 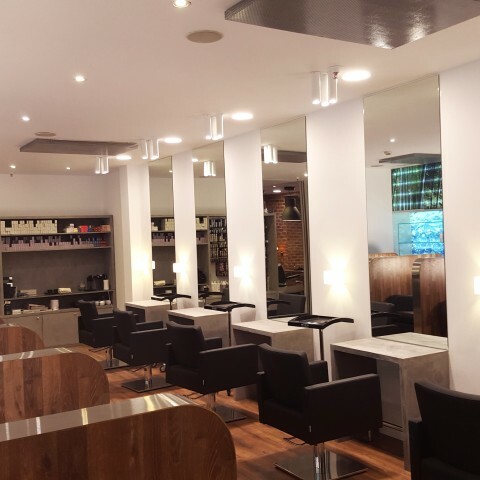 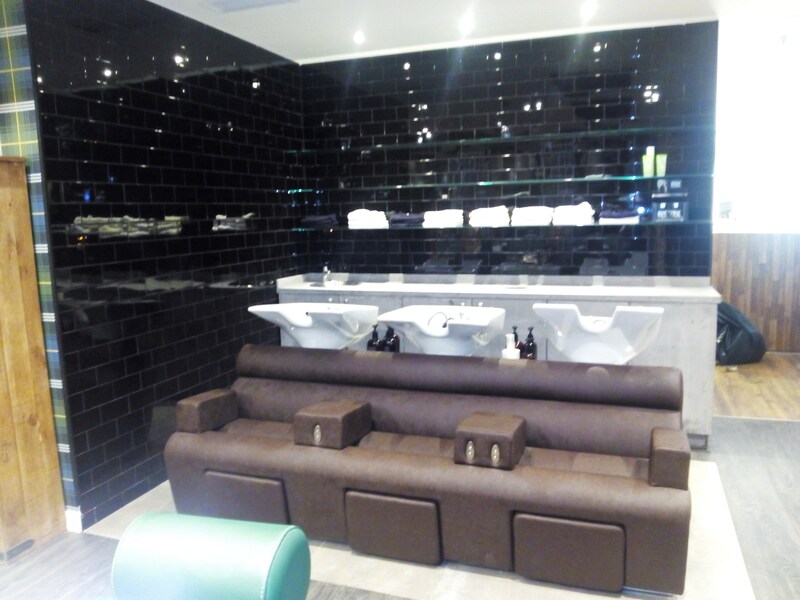 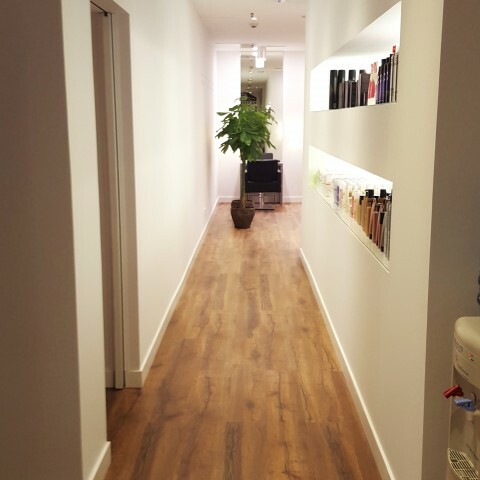 Rasacha executed this project so meticulously to renew and upgrade Hair & More Premium Salon creating a simple, modern yet elegant style in the ladies’ room and a more classic and vintage gentlemen’s area. 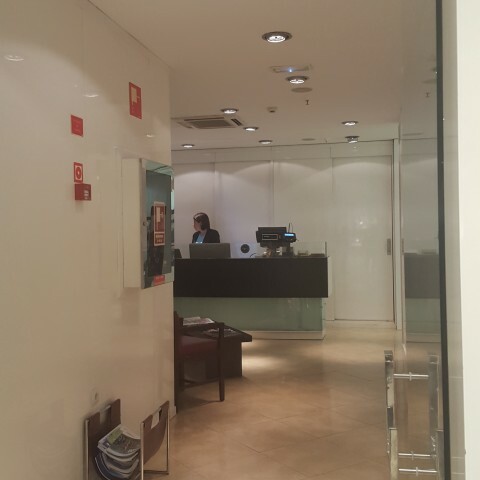 GRUPO RASACHA incorporated in 2016 a new client, the prestigious hearing solutions company AMPLIFON, a world leader in the sector, present in 19 countries and currently in full expansion. 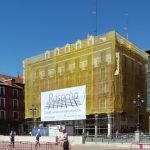 Representative work for its location in the Plaza Mayor of Valladolid, currently characterized by trying to return to the original homogeneity by means of mechanisms such as: red paint all facades of buildings, since originally the facades were brick. 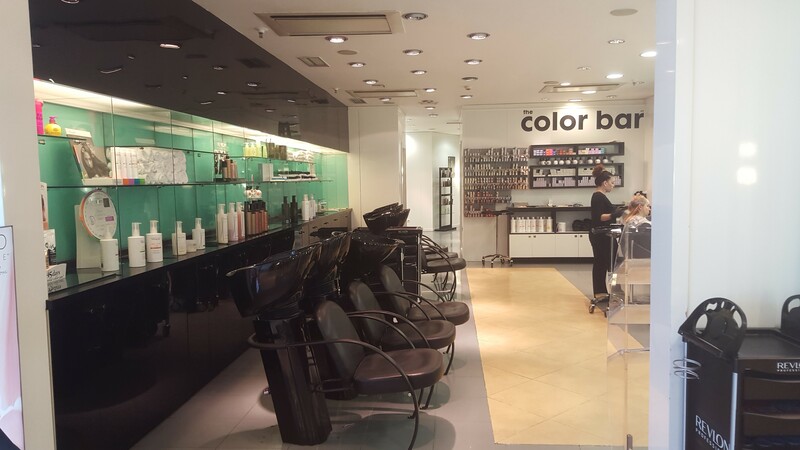 Rasacha started building stores in 2005 collaborating with the firm on its expansion to national level, building and refurbishing 198 Opencor stores.